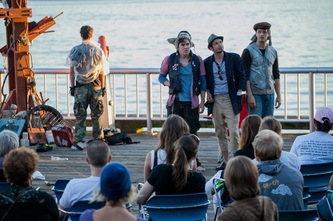 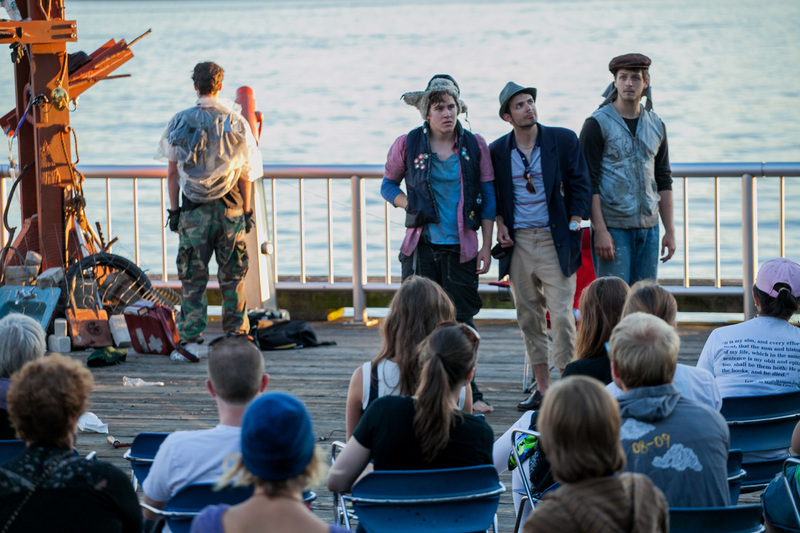 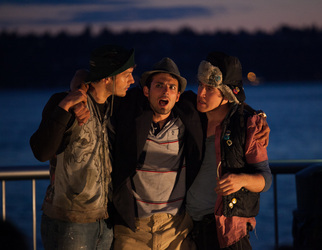 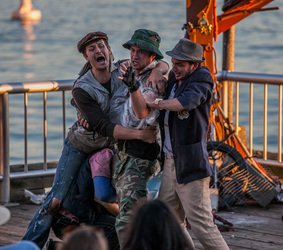 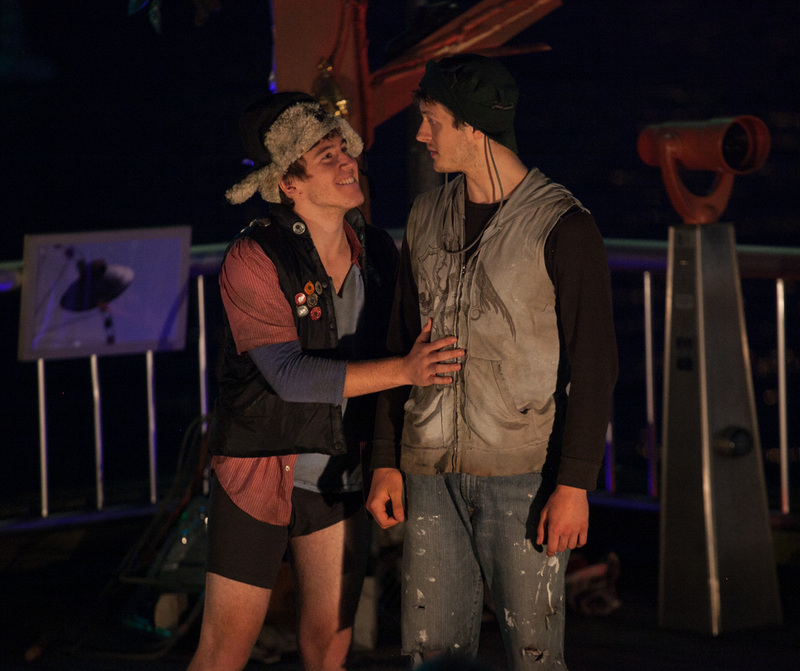 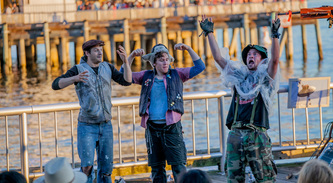 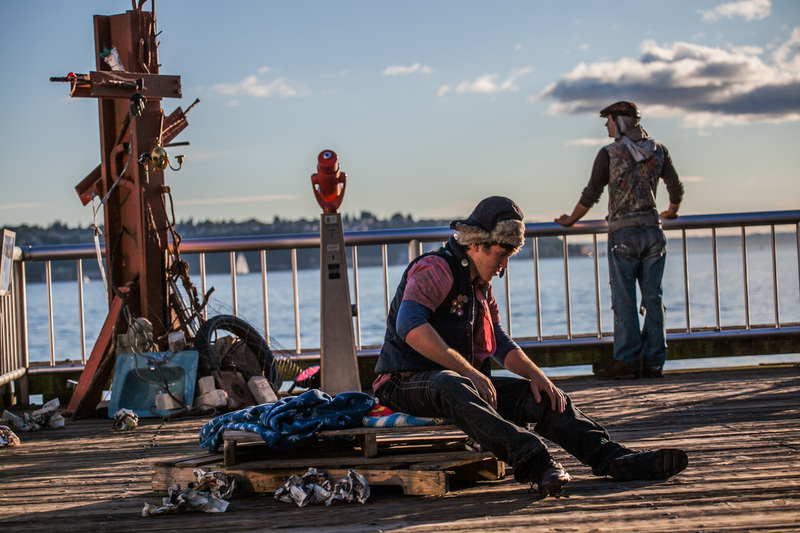 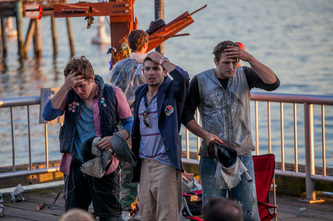 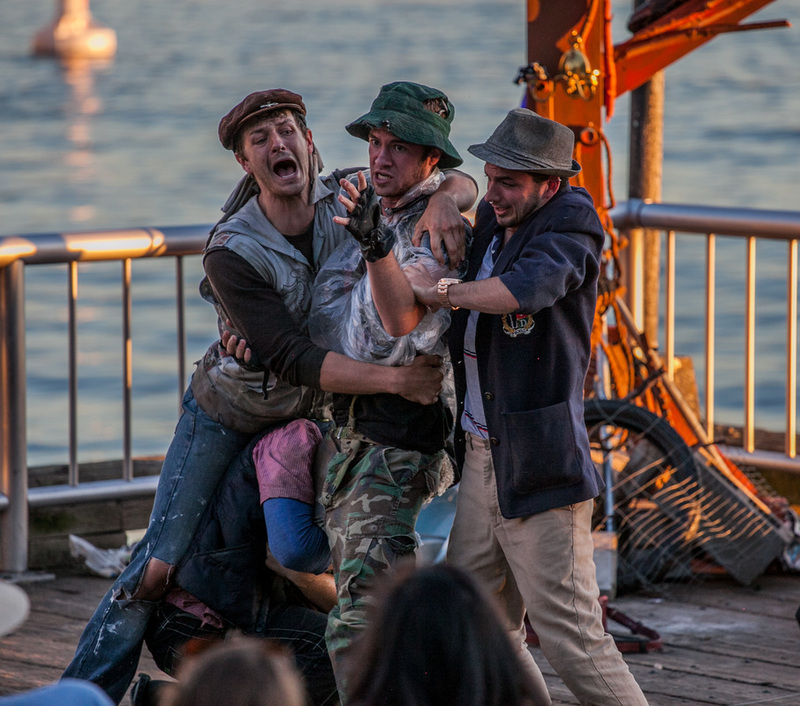 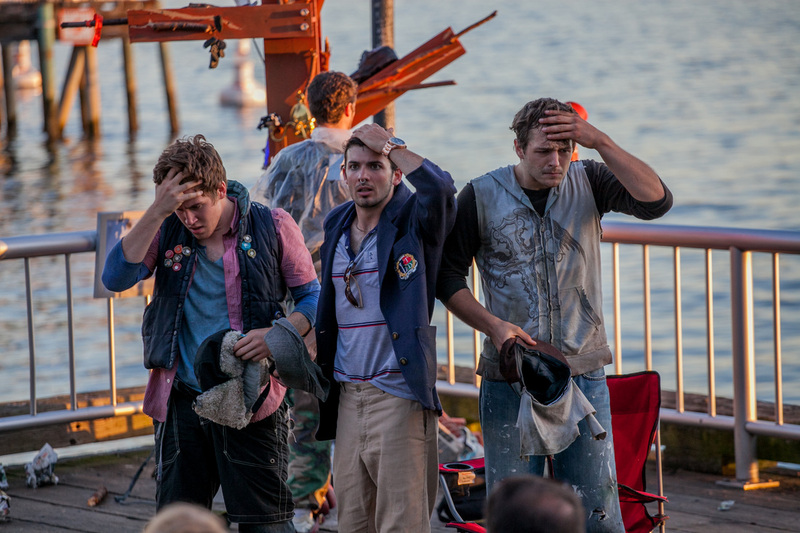 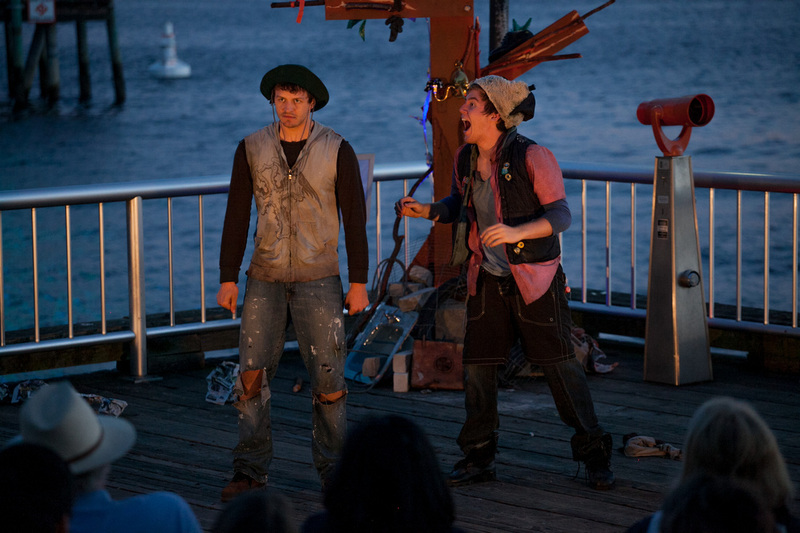 An outdoor, site-specific and free production set on Seattle's historic waterfront. 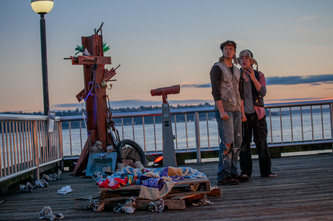 In Waiting for Godot, two wandering tramps, Vladimir and Estragon, wait by a lonely tree, to meet up with Mr. Godot, an enigmatic figure in a world where time, place and memory are blurred and meaning is where you find it. 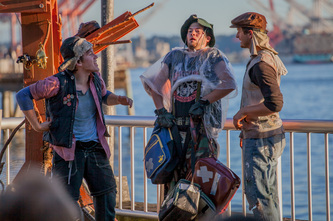 The tramps hope that Godot will change their lives for the better. 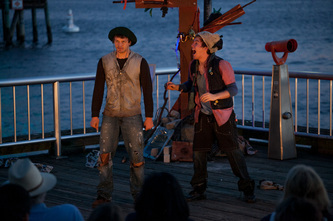 Instead, two eccentric travelers arrive, one man on the end of the other's rope.